The Chaoyang district of Beijing is Beijing city’s biggest district, home to many popular bars, restaurants and areas to live. It is also home to the well-known area of Sanlitun which is a popular drinking hole and shopping spot for foreigners and Chinese alike. It is also home to Beijing’s CBD – Central Business District, as well as the Olympic Green, which was built in 2008 for Beijing’s Summer Olympics in 2008. Further outside of the main center of this district in Beijing, you will also find Beijing city’s airport. With a surplus of shopping malls, parks, markets, bars, and restaurants – Chaoyang is the place to be in Beijing city. 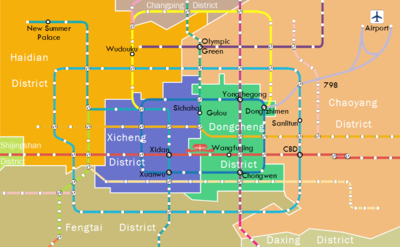 Chaoyang itself is made up of 22 subdistricts. The two most popular areas are the Chaoyang Park and Sanlitun areas. 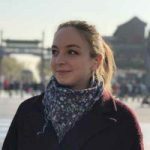 If you’re looking for a place to live in Beijing city as an expat or wanting to rent an apartment, you can’t go wrong with Chaoyang. Popular amongst families, this area not far from the luxury CBD business area of Beijing and the embassy neighbourhood. It is Beijing’s second largest residential area and, located in central Beijing, can be a bit pricey. This pays off though with the number of Western restaurants, international schools, bars, and multi-national company offices located in the area. Chaoyang Park, as the name suggests, also features a pretty big park. In fact, it’s Beijing’s largest park. The majority of the space (288.7 hectares) is used as green space, with a pretty large water space too (68.2 hectares). At the park, you can enjoy a stroll, picnic or morning jog – as well as the many features in the park. This includes flower gardens, a fairground with rides and a roller coaster, and several swimming pools! You can also hire boats and bikes. Great for a hot Beijing summer’s day! If you fancy cooking for yourself, but haven’t quite got the hang of cooking Chinese style – or just straight-up prefer cooking your own way, Chaoyang Park offers a great selection of supermarkets offering your favorite home-comforts. This includes Jenny Lou’s, BHG, Carrefour, and CenturyMart. If you’re after somewhere to eat, you have a hard time choosing between all of the restaurants in the area. Fast food places go without saying – KFC, McDonalds, Pizza Hut… But there are also many Italian, Mexican and Indian places around. If you’re looking for some Chinese food, places in this area may be more expensive that your regular Chinese food joint. Head off the main streets and down towards some quieter alleyways for some spicy noodles or dumplings. There’s also a host of your favourite Western cafe chains such as Starbucks and Costa where you can grab your soy latte before work! There are a few good bars to choose from in the area, but your best bet is taking a quick trip into bar/restaurant area Sanlitun. The busy and vibrant area of Sanlitun is perfect for young single people and couples, who can appreciate the abundance of bars, restaurants, and clubs dotted around. It’s extremely expat-friendly meaning you’ll see many other foreigners around, as well as shops that sell your favourite home comforts. 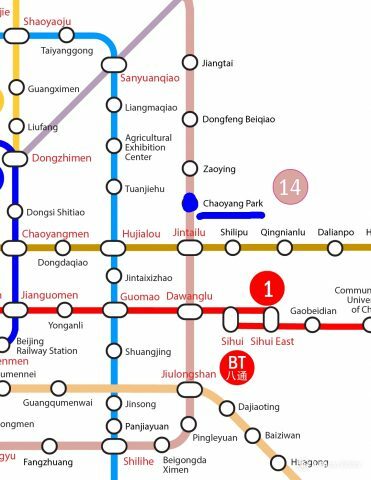 It’s close to the Chaoyang Park area and provides easy access to many other areas in Beijing. Sanlitun’s infamous Bar-Street may have disappeared in the past few months to be replaced by a much cleaner, tidier looking area – but that doesn’t mean it’s all over for Sanlitun and it’s excellent food and nightlife. 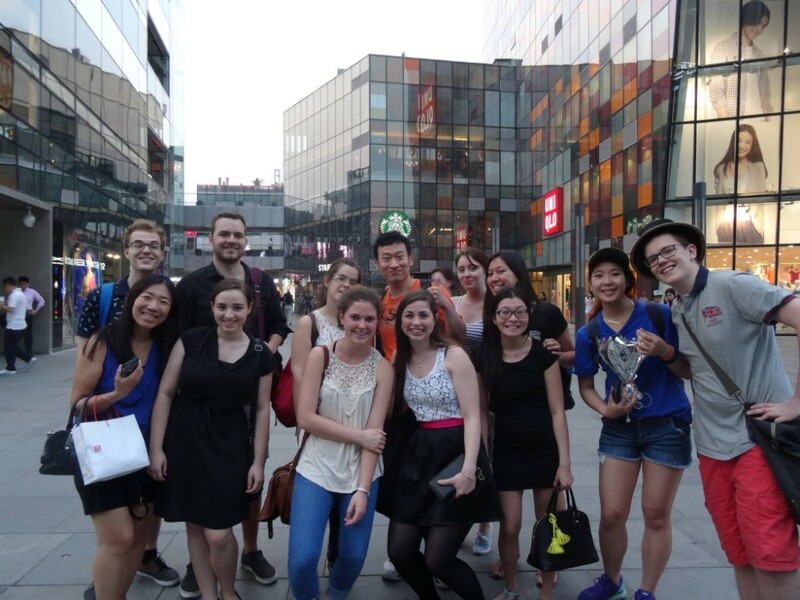 If you’re looking for an area with lots of foreigners and a great selection of Western food, head to Sanlitun. 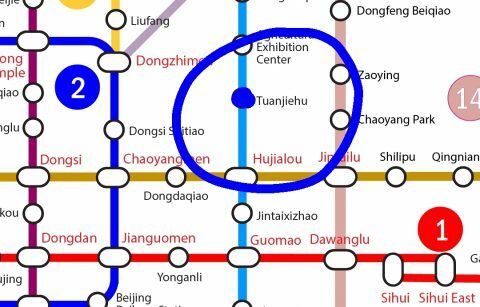 Take a ride to Tuanjiehu subway stop and walk down the main road towards the Sanlitun Soho area. You’ll have 3 main areas to choose from. As you’re walking down, you will come to a crossing that has one large area on the right-hand side (home to the previous bar street) and to the left-hand side you will come across Sanlitun Soho area. At this crossing, turn left and a short walk down you will find the Intercontinental hotel. Just opposite to this there is the entrance to a smaller bar/food area home to Qmex Mexican restaurant and The Local bar – as well as many other Western-style bars and restaurants. Booking is advised on weekends since these places get pretty busy! This area is small and more compact than the others. It a great little place to walk around and find a nice place to stop off and refresh. Sanlitun Soho area is home to many different shops as well as a couple of bars and restaurants, mainly on the underground floor. Opposite this is the main Sanlitun bar/shops/restaurant area where you could walk around for a good half an hour trying to decide where to eat. Here you will find mainly Western-style restaurants, but also a few upmarket Chinese places. Have a look on TripAdvisor before you go otherwise you may be overwhelmed with the choice! If it’s a big night you’re after, head to the area near the Worker’s Stadium for some of the bigger super-clubs which host many foreigners and locals alike. This includes clubs such as One Third, Mix, and Lantern. Not forgetting, of course, the infamous Heaven Supermarket – a bar which is set out like a supermarket where you can browse the drinks in the fridges, take a basket, and pay for them at the bar. A word of warning – some of the alcohol served in these places is sometimes fake alcohol and, if you’re not used to it, may make you feel full of regrets the next morning as you’re battling the hangover. Nothing a good Jianbing (pancake) can’t cure!